The City of Kansas City, Mo., is advising residents that both the Missouri Department of Agriculture and U.S. Department of Agriculture have confirmed the Emerald Ash Borer as being in Kansas City. The insect, which has infested trees throughout the nation, is not a threat to human or animal health but poses a risk to the region’s 4.6 million ash trees. The Emerald Ash Borer quarantine was recently expanded to include the entire state and, as a result, leaf and brush may now be dropped off at any of the City’s disposal centers. 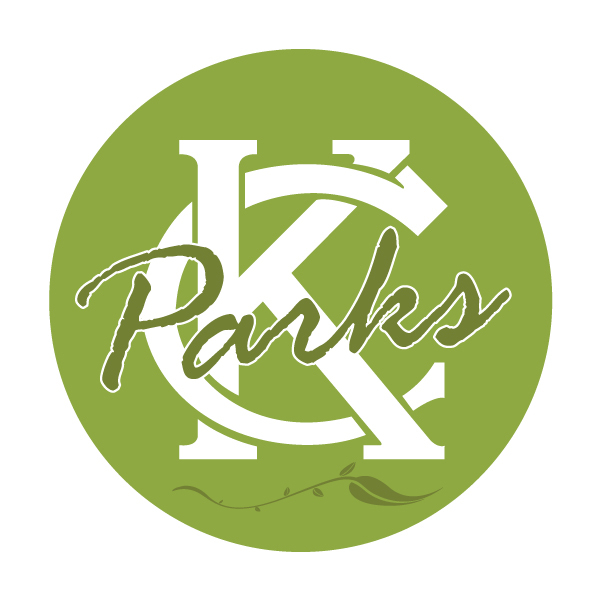 Kansas City residents may drop off leaf and brush for free on Saturdays at the City’s three public leaf and brush drop-off centers: 11660 North Main Street, 1815 North Chouteau Trafficway and 10301 Raytown Road. Weekday drop-offs are allowed at the Chouteau and North Main locations for a nominal fee. These city sites are set up to properly process Ash tree wood according to federal and state guidelines so as to destroy beetles in infested wood reducing the population and slowing it’s spread. More information about the City’s Leaf and Brush Drop-Off sites. 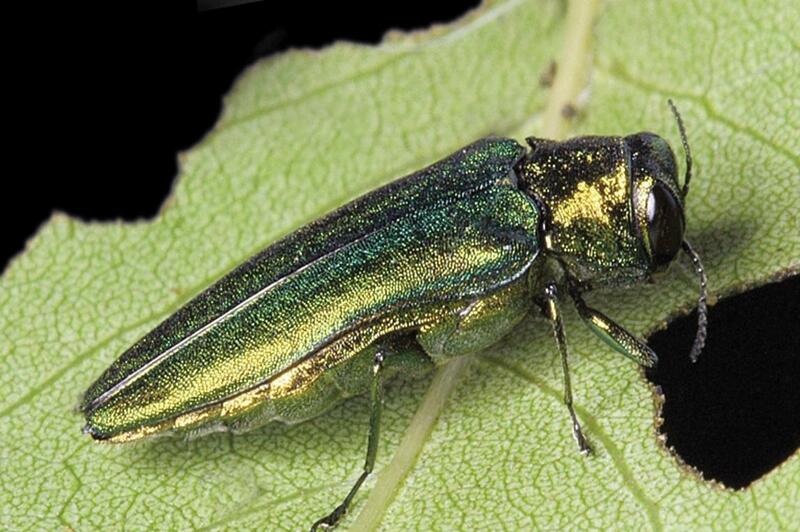 Where did the Emerald Ash Borer beetle come from? The Emerald Ash Borer originated from eastern Russia, northern China, Japan and Korea. Before June of 2002, it had never been found in North America. How did the EAB get to North America? We do not know for sure. It is most likely that the beetle came in ash wood used for stabilizing cargo in ships, or for packing or crating heavy consumer products. How long has the Emerald Ash Borer been in the United States? The scientific community believes the beetle may have been present for up to 12 years before it was detected in southeastern Michigan. This belief is based on the widespread distribution and destruction found when the U.S. Department of Agriculture (USDA) officially identified the EAB in the summer of 2002. 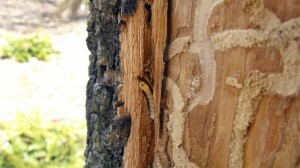 What type of trees does the EAB attack? In North America, it has only been found in ash trees. All species of ash in North America are at risk. Where has EAB been found? EAB has been found in Missouri, Kansas, Illinois, Indiana, Iowa, Kentucky, Maryland, Michigan, Minnesota, New York, Ohio, Pennsylvania, Virginia, West Virginia, Wisconsin and the Provinces of Ontario and Quebec, Canada. What does EAB look like? The adult beetle is dark metallic green in color, ½ inch long and 1/8 inch wide. How big is EAB a problem? 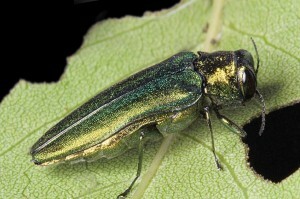 The EAB poses an enormous threat to our urban and rural forests. If it is not contained and managed, the impact of the beetle in North America will be similar to the devastation caused by Chestnut blight and the Dutch Elm disease. Non-native organisms, like the EAB, are more destructive than native organisms because they do not have natural population controls such as parasites, predators or diseases. Having had no previous contact with the organism, host plants have not had time to adapt and develop effective defenses against them. For perspective – Chestnut blight destroyed 500 million trees and Dutch Elm disease destroyed three billion trees. EAB has the potential to kill nine billion trees nationally. How many ash trees are in Kansas City, Mo.? Approximately 20,000 ash trees are located on public property within Kansas City, Mo. More than 400,000 ash trees are on private property. Within Greater Kansas City’s nine county region, the estimate is more than 4.6 million ash trees. 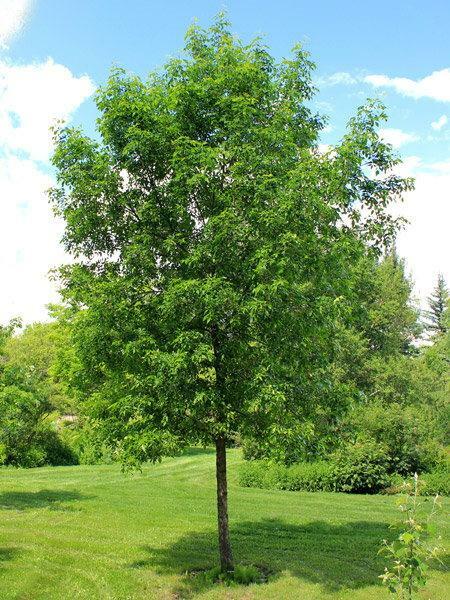 How do I know if I have an ash tree? An ash tree has an opposite branching pattern (two branches come off the main stem, one on each side and directly opposite each other). 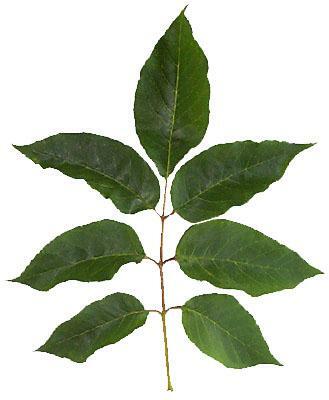 Plus, ash trees have compound leaves with five-11 leaflets (depending on the species of ash). Leaflets are moderately toothed and may be stalked or sessile. Are there symptoms I should look for that indicates my tree may have been attacked? 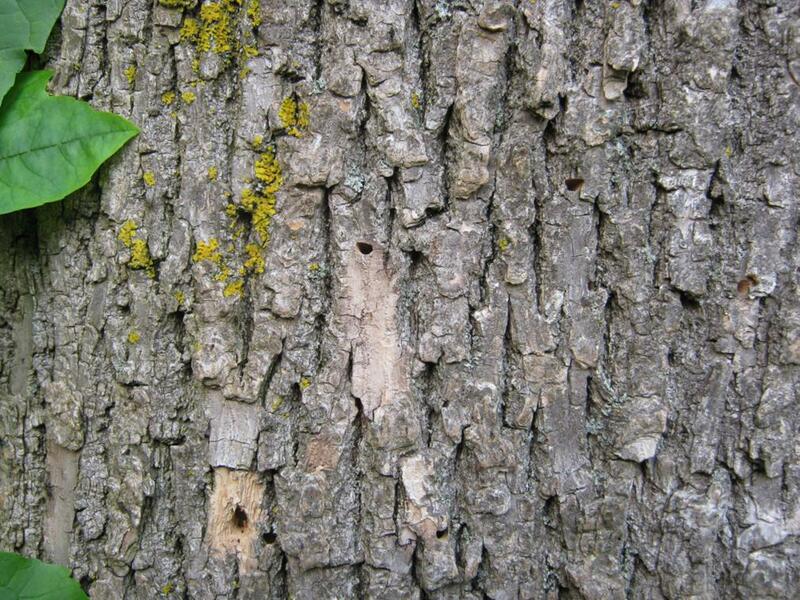 Yes, if your ash tree has sparse foliage and/or dying branches in the upper part of the tree; new sprouts on the roots, lower trunk or branches; or increased woodpecker activity on the tree, these are indicators of EAB. However, these may also be symptoms the tree is stressed by other insects, disease, weather or other factors. Those symptoms outlined above by themselves do not mean the problem is Emerald Ash Borer (EAB). Please consult a certified arborist or forester to confirm the presence of EAB. Are dying ash trees always an indication of an EAB infestation? No. Ash trees are affected by several diseases and insects. Ash trees throughout the state exhibit dying branches and/or decline. 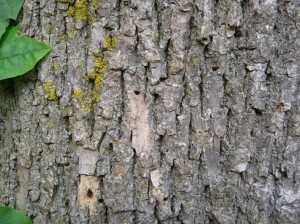 Some may show signs of heavy woodpecker damage. This may or may not be due to the EAB. What signs are the best evidence that EAB may be attacking my tree? Look for 1/8 inch diameter D-shaped holes in the bark where the beetles have exited and short (3-5 inches) vertical splits in the bark that reveal S-shaped “trails” under the bark. What happens to infested ash trees? The canopy of infested trees begins to thin because the borer destroys the water and nutrient conducting tissues under the bark. Heavily infested trees exhibit canopy dieback, usually starting at the top of the tree. One-third to one-half of the branches may die in one year. Most of the canopy will be dead within two years of when symptoms are first observed. Sometimes ash trees push out sprouts from the trunk after the upper portions of the tree dies. Although difficult to see, the adult beetles leave a D-shaped exit hole, approximately 1/8 of an inch, in the bark when they emerge. Is there anything I can do now to protect the ash trees in my yard from EAB? Keeping trees vigorous and healthy by proper pruning, mulching, watering and avoid wounding helps them resist insect attack. Avoid bringing firewood from other areas as this may also bring unwanted tree pests. Closely monitor trees for signs of EAB infestation. What about insecticides? Should I begin to use them to protect my ash trees from EAB? Preventative insecticide applications are generally not recommended if known infestations are not within 15 miles of your location and/or found within your county. Premature use of insecticides is ineffective, wastes money and needlessly adds chemicals to the environment. If I have ash in my woods, should I be doing anything? At this time, you need not change your scheduled timber management activities. Is ash still a viable choice when considering what to plant in my yard? Due to the severe nature of the EAB threat, planting an ash tree of any kind may not be the wisest choice. In general, having a diversity of species in your yard, on your street or in your community is your best defense against all tree health problems. What if I discover EAB on my trees, what should I do? If you suspect your ash is infested, please contact a certified arborist or forester for help, or contact the Missouri Department of Conservation at 866-716-9974.The Missouri Department of Conservation website provides tips on how to hire a qualified professional atwww.mdc.mo.gov/node/7182.Here is a link to find an arborist near your home:http://www.isa-arbor.com/faca/findArborist.aspx. If my ash tree is infested, who is responsible for taking care of the tree? The homeowner is responsible for any necessary action in regards to trees on their property. City trees that become infested should be reported to the 311 Action Center. How do I know if I am in a quarantined county? 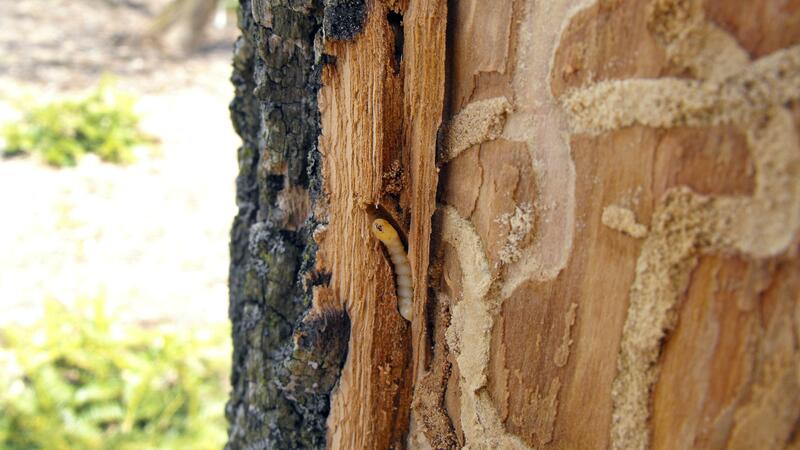 As of October 2013, the entire state of Missouri is under a Emerald Ash Borer quarantine. Wyandotte County in Kansas is also under quarantine. Where can I properly dispose of my leaves and wood now that the state is under quarantine? Kansas City residents may drop off leaf and brush for free on Saturdays at the City’s three public leaf and brush drop-off centers: 11660 North Main Street, 1815 North Chouteau Trafficway and 10301 Raytown Road. Weekday drop-offs are allowed at the Chouteau and North Main locations for a nominal fee. These city sites are set up to properly process Ash tree wood according to federal and state guidelines so as to destroy beetles in infested wood reducing the population and slowing it’s spread. What is being done about this new pest? Many Federal, State and Municipal agencies, universities and other cooperators are working together to detect, control and prevent the human-assisted spread of EAB. Strategies to manage the pest currently focus on survey activities, panel traps, along with regulatory activities and public awareness campaigns aimed at preventing human-assisted movement of the EAB. Outreach efforts have emphasized “Don’t Move Firewood,” as firewood movement is the primary method of artificial spread of this pest. Research also continues to identify effective new tools for managing and controlling EAB populations.